This project required a full website design with Woocommerce e-store in a secure https environment that uses both PayPal and direct credit card processing through the client’s own Visa/MasterCard merchant account. 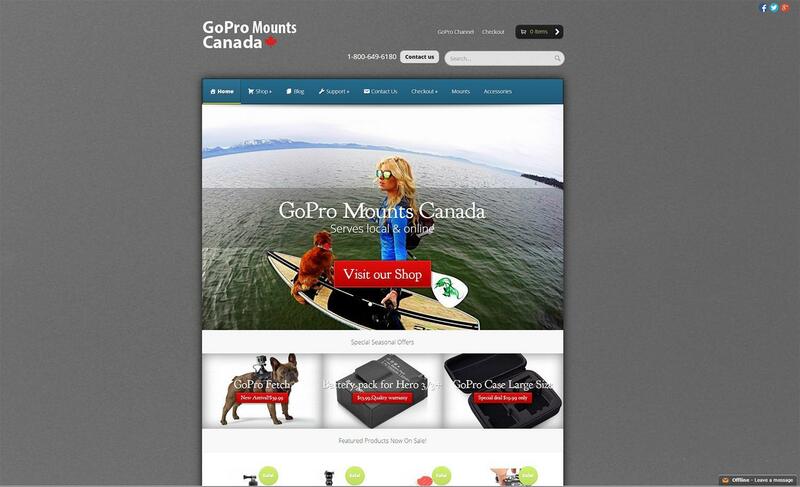 This client, the number one seller of Accessories for GoPro cameras in Canada, required a clean design that featured a new products in action slider, sales on featured products on the first page and live feeds from GoPro video sources. This site is exceptionally easy to maintain and update and can offer and accept sales vouchers, discount coupons, taxation, inventory, delivery & distribution costs, and inventory management.